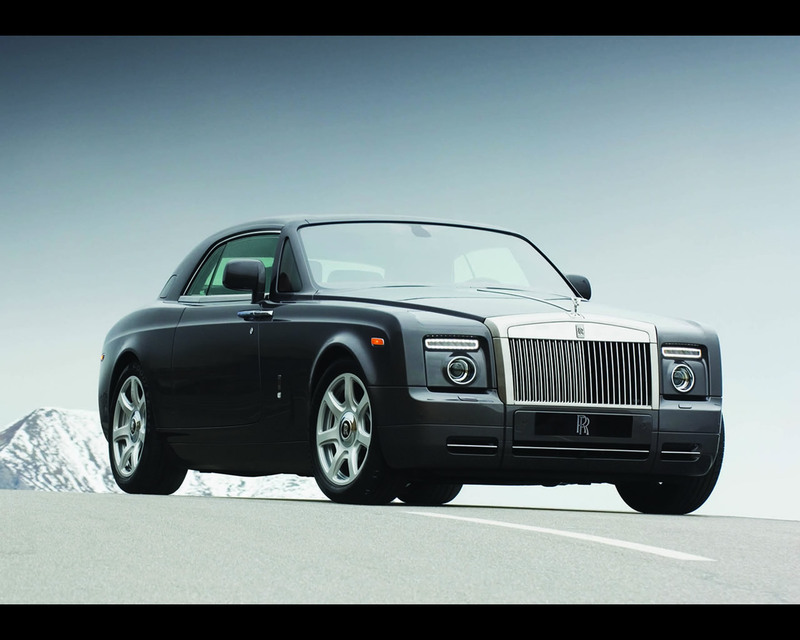 Rolls Royce unveiled in 2006 the 101 EX an experimental car hand built to capture an exciting new design direction for a modern coupé. 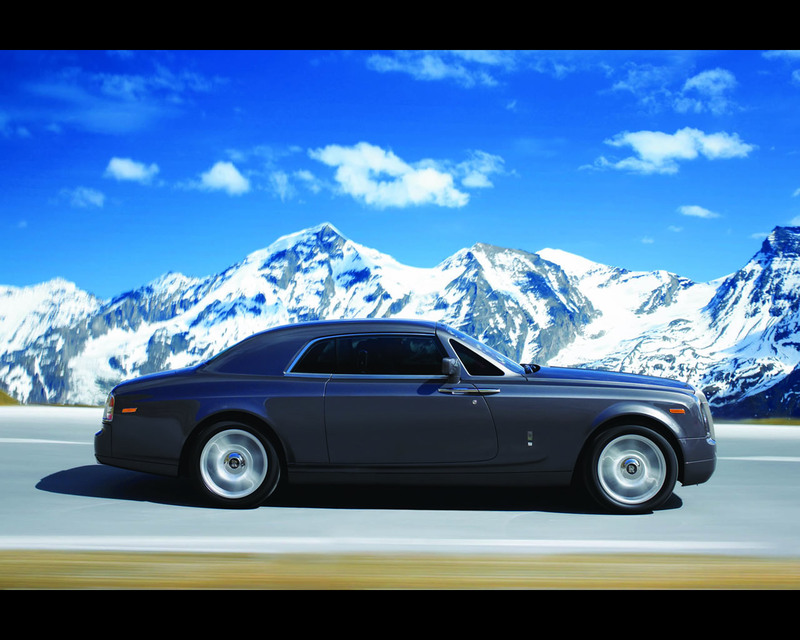 At the International Geneva Motor Show 2008, Rolls Royce unveiled its new Phantom Coupé. Production of the new car will strat et Goodwood in the summer of 2008. 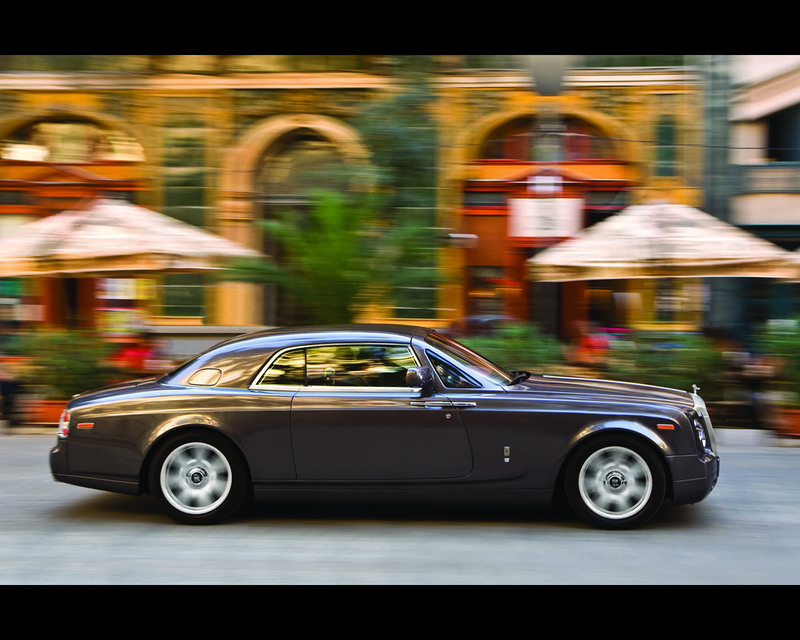 The Coupé is the most driver-oriented model in the Phantom line. A number of subtle but significant modifications have been made that change its character. It is noticeably more dynamic, whilst still offering incredible levels of comfort. Marrying cutting-edge technology with a beautifully proportioned, muscular body that exudes power and style, it incorporates timeless Rolls Royce design cues in an utterly contemporary manner. Designed to cover great distances effortlessly, the Coupé is the perfect choice for a transcontinental trip. Power is provided by the Phantom 6.75 litre V12 that produces 453 hp, 720 Nm of torque and has segment-leading fuel economy. A 25 percent increase in fuel capacity, compared to the Drophead Coupé, adds significant driving range. 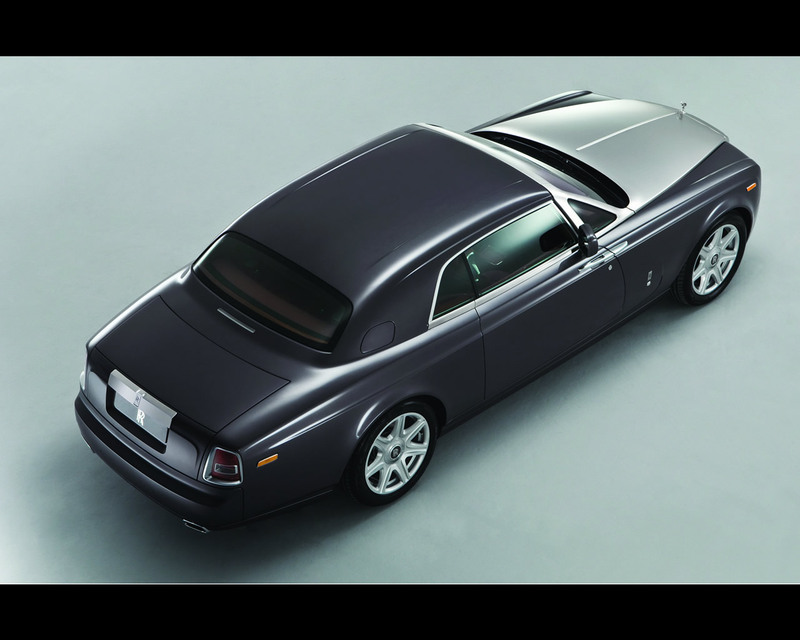 Rolls Royce Motor Cars Chief Designer, Ian Cameron, said "Rolls Royce has always been about pace, performance and style. 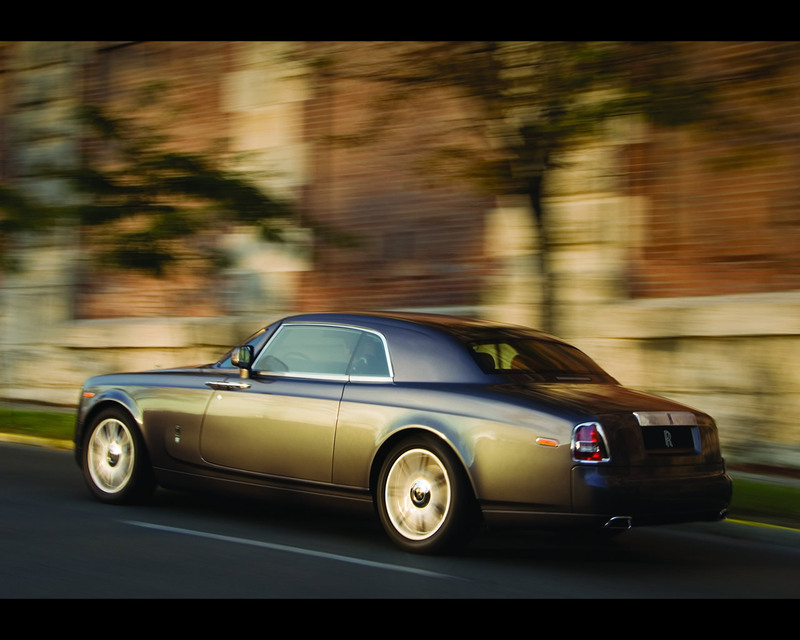 For the Coupé design we gave the quintessential Rolls Royce design a dynamic twist. 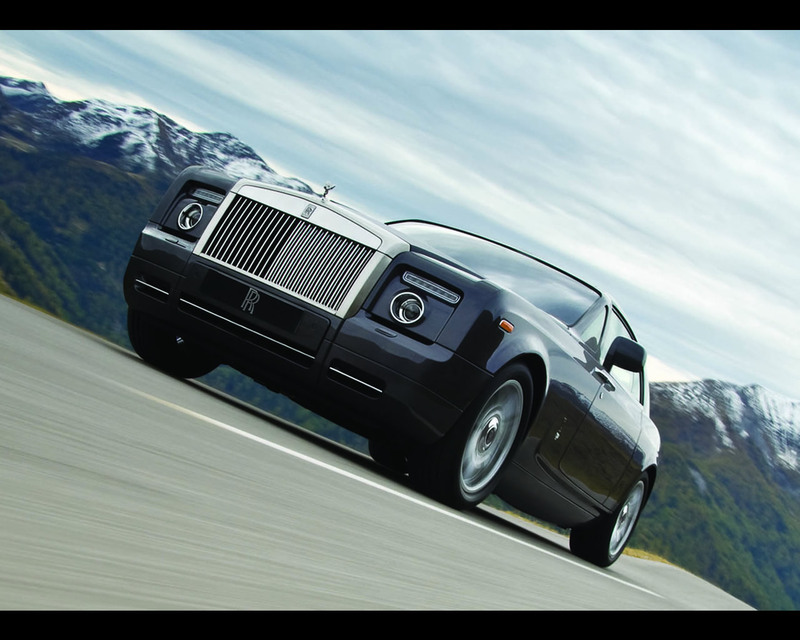 This adds a sense of drama to the outstanding engineering and drivability that are fundamentals of Rolls Royce cars. 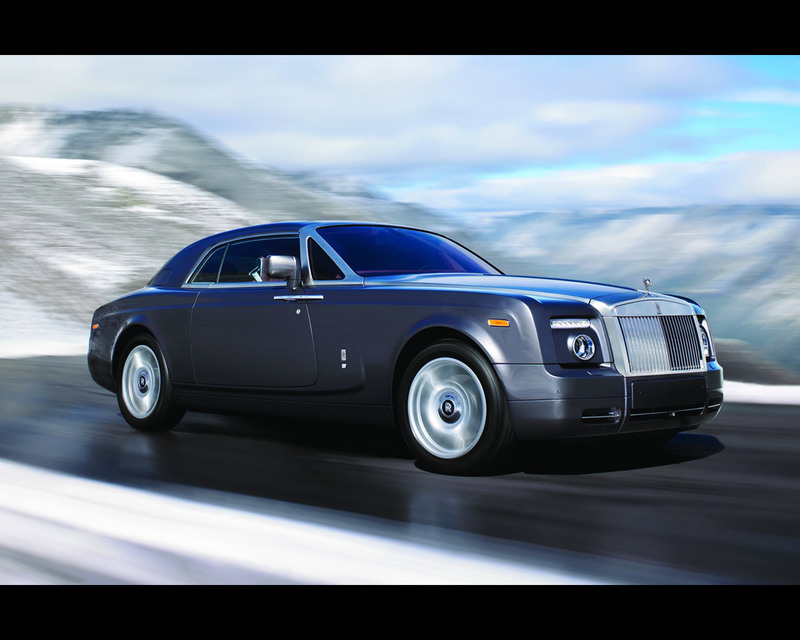 The dynamic drive of the Phantom has always come as a surprise to customers and the Coupé takes it a step further." The Phantom Coupé features rear-hinged coach doors which adds considerably to the ease of access to the rear lounge seats as well as to the overall aesthetics. Crucially, they aid the overall stiffness of the body as the rear hinged doors allow for an uninterrupted A-pillar helping to make this the most torsionnally rigid Rolls Royce ever. A brushed steel finish of A-pillar and bonnet, as seen for the first time on 100EX, is also available for the Coupé. At the rear is a spacious picnic boot. A split tail compartment that opens in two parts, gives easy access to 395 litres of space. The lower tailgate also provides a comfortable seating platform for two adults when lowered. At the core of the Phantom Coupé is an advanced aluminium chassis, perhaps the single most significant component in delivering the marque's legendary refinement. Lightweight and exceptionally strong, it impacts positively on ride comfort, handling and safety. Hand made, it requires over 130 meters of welding to create each body. Engine and Transmission : V12, 48 valves, Direct Injection, 6.749 cc, 453 hp at 5.350 rpm, maximum torque 720 Nm at 3.500 rpm, Compression ratio 11:1, Transmission ZF 6HP32 six speed.